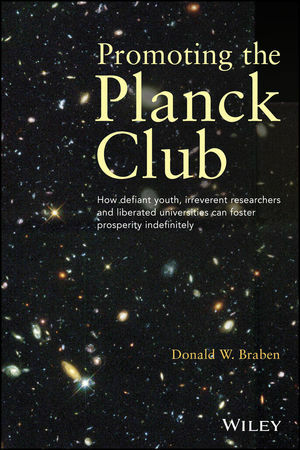 Promoting the Planck Club presents rich mini histories of selected scientists whose work led to radical and transformational discoveries, their background, the prevailing scientific environment, and the conditions that allowed for their success. The text provides a broad audience of students, scientists, engineers, economists, and policymakers with ways to ensure that we take all steps to protect the flow of unpredictable scientific discoveries that are necessary for sustained levels of growth as well as ways to ensure that all steps are taken to protect the flow of unpredictable scientific discoveries. DONALD W. BRABEN, PHD, is an honorary professor at University College London, a Fellow of the Institute of Physics, and Founder of Venture Research International Ltd. He spent some 16 years in particle physics, followed by spells in the Cabinet Office and Science Research Council headquarters before beginning his long association with Venture Research in 1980. Dr. Braben is the author of Scientific Freedom: The Elixir of Civilization and Pioneering Research: A Risk Worth Taking (both from Wiley).